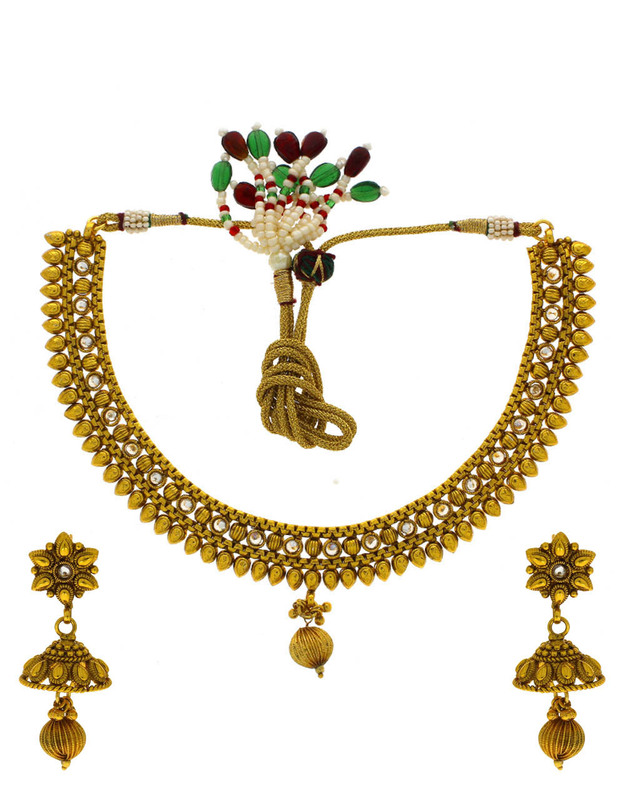 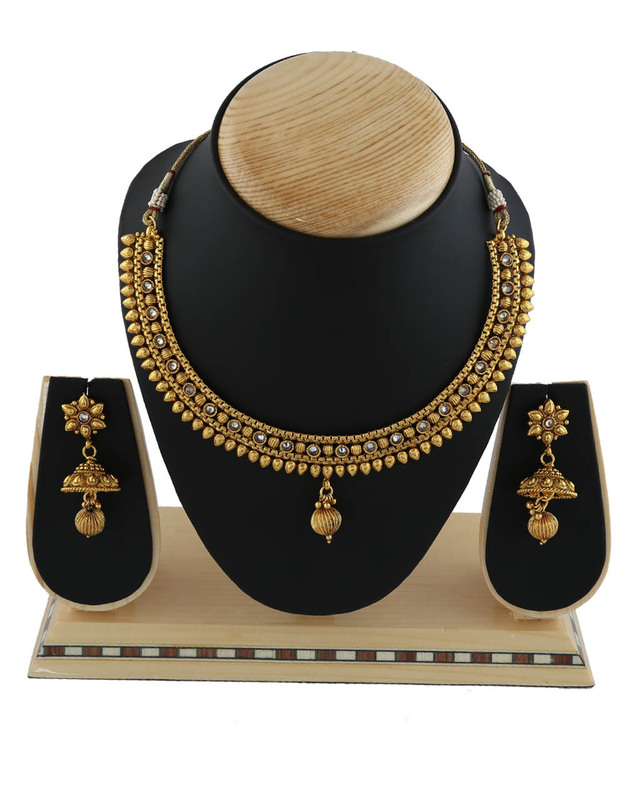 Anuradha Art Jewellery offers this golden finish magnificent necklace set for women who love to adorn traditional accessory. 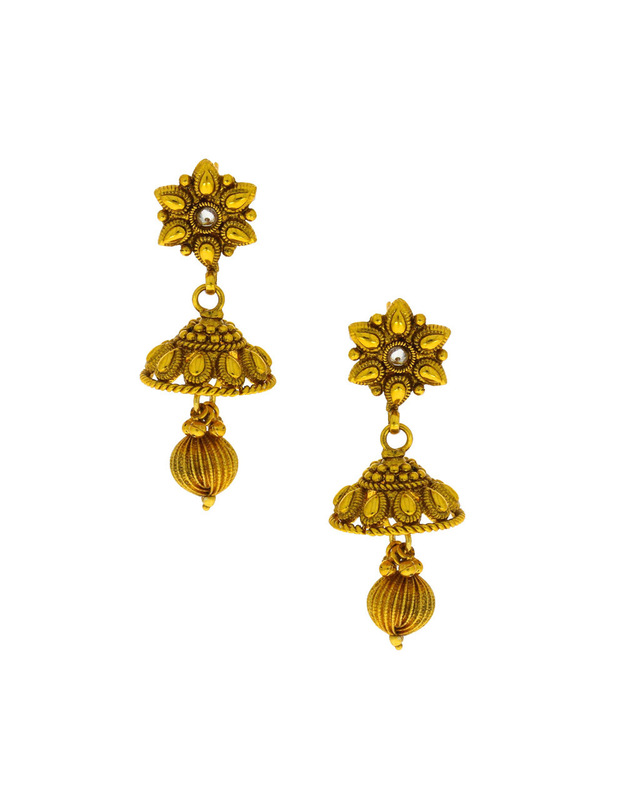 It is embedded with sparkling white stones and feature intricate carving design on metal surface. 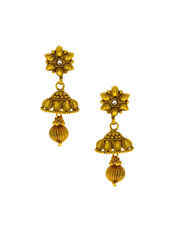 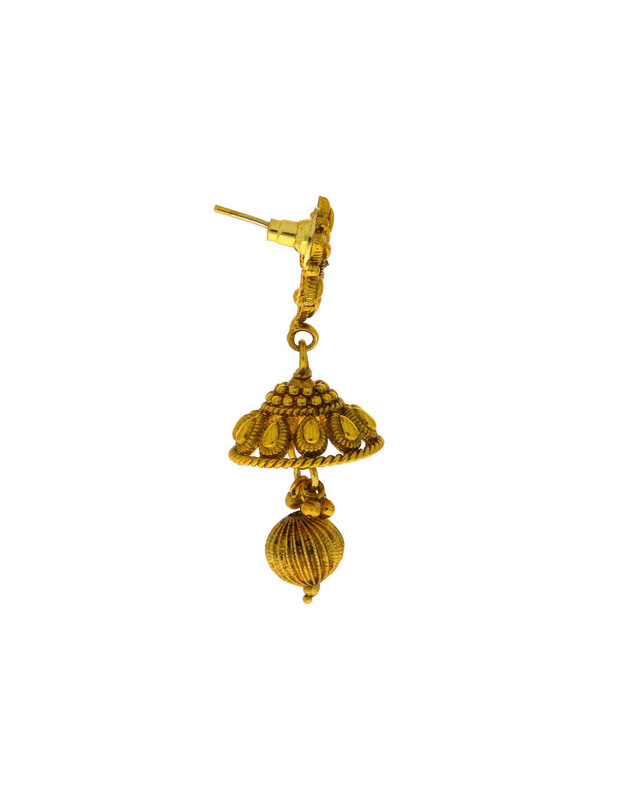 In addition it has golden bead droplet for added attraction.